Argentina took on Venezuela in the 2016 Copa America quarterfinal match and they started with Sergio Aguero while Higuain played as lone striker upfront with Messi and Gaitan playing in attacking roles behing him. Napoli striker wasted little time to put Argentia in front with a nicely taken goal in 8th minute while he scored second of the night around half hour mark and that pretty much settle the tie with Venezuela unlikely to mount a comeback the way Argentina are playing at the moment. 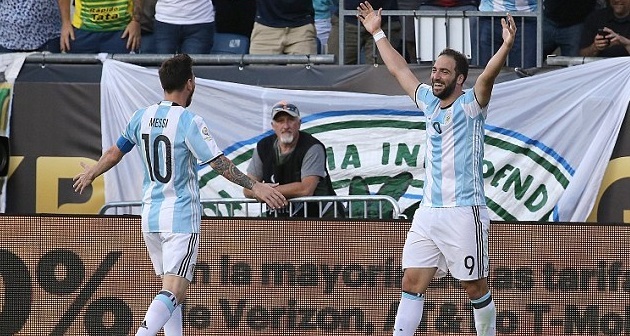 After comprehansive win over Venezeual Argentina has made it to the 2016 Copa America semifinal where they will face USA on 21st June 2016 at the NRG Stadium in HOUSTON, TX. 08′ 1 – 0 Gonzalo Higuain started upfront in place of Sergio Aguero and he scored early for Argentina to ease the nerves. 28′ 2 – 0 Gonzalo Higuain was on target against in 28th minute to make it 2-0 and pretty much settle the tie. 44′ (pen miss) Luis Seijas embarresd himself when he missed the penalty kick while trying to be smart and chip the keeper but Romero was having none of it. 70′ 3 – 1 Salomon Rondon scored in 70th minute to give Venezuela faint hopes of comeback. On paper Argentina looks clear favourites to win this game and qualify for semifinals where they will face USA but Venezuela are a tough nut to crack as their group stage campaign shows. They might not have that attacking flair like some of the other South American teams but they compensate that with a close knit defensive unit which is incredibly hard to break down. They have scored 3 goals so far in the tournament and conceded just 1. 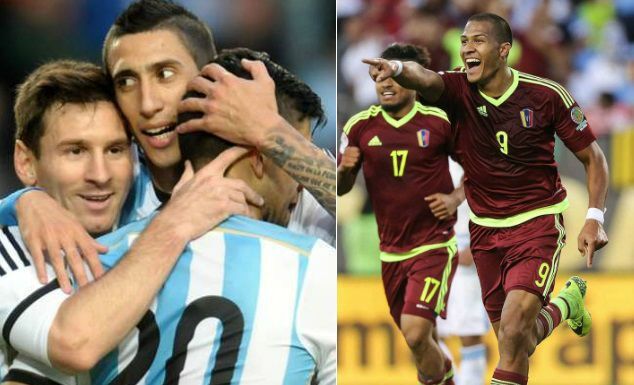 Historically Argentina has had the better of Venezuela in Copa America games. They have meet 5 times before with Argentina winning all of those games scoring 24 in the process and conceded just 2. Team News & Lineups: As far as the team news is concerned, Sergio Aguero is again likely to miss out with Lionel Messi ready to start the first game in the tournament alongside Gonzalo Higuain. While defensive duo of Marcos Rojo and Nicolas Otamend has recovered from minor injuries and should started having been given the rest in the last group game. Venezuela has a full squad to choose from and we can expect the same lineup which took the field against Mexico. 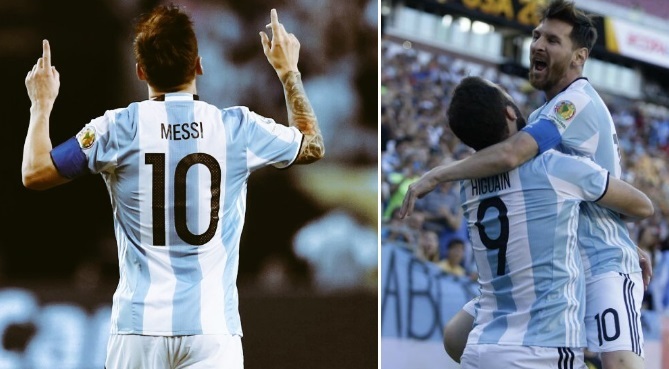 Match Predictions: With Messi started upfront alongside Nicolas Gaitan and Higuain we can expect some fireworks. I am going with a comfortable Argentina win in this one.